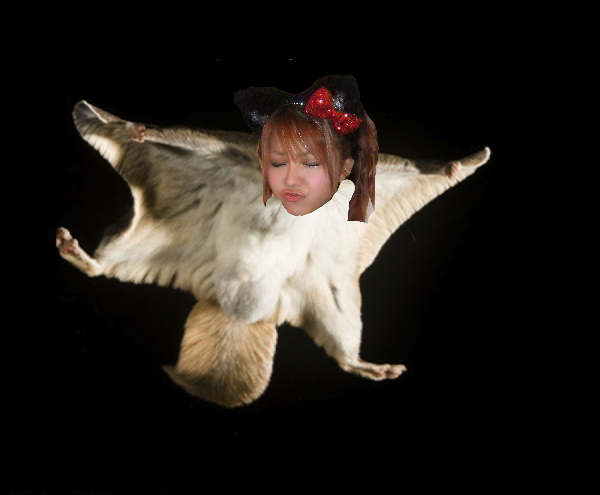 This post contains my thoughts and feelings towards Tanaka Reina as a part of Morning Musume. If you feel offended by what I saw, then please feel free to ignore this post. I don't cater to everyone, but I do say what I want to say, so either get over it or ignore it. Note* This is the final chapter in my series 'A Week with Winky'. This Appreciation post was created before the other posts, before the series was even thought up, but it is my final word to Tanaka Reina as a part of Morning Musume. With her graduation looming nearer, I feel that this is my final goodbye to her... well, until I post about her having officially graduated, that is. What can you honestly say about someone you don't really care about in an Idol group you love? That you're going to miss them, that you wish you had given them the chance you should have long before they graduated, or that you appreciate all they have done for however long they have been in the group? Who knows. All I know right now is that, whilst Winky is graduating Hello! Project, I am glad to see the back of her. It's pretty obvious that from the get-go I was not a Reina fan; I have always preferred the under dogs and the underrated singers. Yeah, she can sing, and there are a few songs where I can fully appreciate her voice and enjoy her talent, but in recent singles that voice very rarely shows; she sounds like a squirrel on helium half the time, and I really can not enjoy that because when she sings like that, I can't help but wonder why people think that she is talented. And I'm sure I am not the only one. But I am not here to berate Winky for all her errors and squeals. I'm here to try, and try I might, appreciate her in this Appreciation post before she leaves this tree for another one, flying away like the flying squirrel that she is, and making her home somewhere else. ... This won't be easy, I assure you. So where to start? Well, I got into Morning Musume in 2009, about the time that the Reina-Ai era was coming to an end and other vocals were being used a lot more, giving diversity to the Morning Musume of the dying Platinum era. At that point in time, I really had no clue who she was; all I knew was that she was not Koharu or Gaki, and that I didn't care about her. I found her to be a rather so-so person in the group, though I was quite aware of her prominence in Morning Musume. But, once I got over that giant hurdle, I found Reina to be a tolerable person, however she still never appealed to me like she did others; I always felt that she lacked something in singles, and really didn't stand out amongst the others. Everyone had great personalities that shined through the PV's, but Winky was a totally different matter for me. She never shined or stood out, she was just... there. Singing away, doing what she had to do, looking bored and basically doing her job. ... And then Seishun Collection came out. I don't know what it was (probably the hair), but for some reason Reina just seemed to shine, and when I say shine I mean truly shine, like the glitter she abuses on her inner corners. In Seishun Collection, I saw Reina in a new light; she was happy, cute, cheeky and undeniably wonderful to watch. She was a pure joy, and for me as a new fan, this was the first time I had ever seen her like this. It was like she wasn't tolerating the PV for the sake of it, but instead she was actually enjoying it, going at it with full force and basically stepping up her performance to the next level like I had never seen before. In my short time as a fan, this was the first time that I had seen Tanaka Reina smile like it was genuine, and perform like she truly enjoyed it and couldn't get enough it. And admittedly, I could not get enough of her. She was so endearing and just so happy that it made me happy! I was surprised, I never thought that I would see Tanaka Reina look like this, a youthful, cute and bubbly girl who was genuinely interested in the song and video, a person that I liked and thought was just so damn beautiful and could dominate the world with that smile and those eyes... it was a shocker, but hell, I was so happy to finally appreciate Tanaka Reina and see a new side to her that I had never expected to see! Of course this didn't last too long, because during the next single she reverted back to her old self; bored and uninterested, and basically acting like her old Winky self. For a while I forgot about the Tanaka Reina I had seen in Seishun Collection. For a while, I really did not pay attention to her or care about her enough. Sure, I complained about her and wondered why she was getting a good amount of lines, but other than that I ignored her; I was fangirling over Gaki at this point and how breathtaking she was, and also crying over Kamei Eri and JunLin's graduations before reverting to fangirling over what was, at that time, a new generation in the form of the 9ki's. I did not care about Reina, in fact I had no plan to (much like before), until something happened... AGAIN!!! I was bowled over. Tanaka Reina absolutely blew me away in Only You, and in that PV I truly found myself falling over myself at her beauty. She was just gorgeous, she seemed to, in a sense, shine like she had never shined before. She was standing out, reminding me that she wasn't that boring and that it took something special, or something that she liked, to make her work hard and stand out. In Only You she looked flawless, and once again, like she wanted to be there. Once again it was as if this wasn't just another single that she had to do because it was required of her; it was as if she wanted to be there herself because she loved it. The Tanaka Reina that I could appreciate and enjoy as a performer was back, and watching her in Only You made me so happy. She was simply flawless, and I really did hope that she would continue on this way in other single. Of course that didn't happen, well, not until Ren'ai Hunter at least. Sadly, this happens to be the last time that I was blown away by Reina in a PV; she was simply flawless here. She looked like she was in her element, like she belonged there and that she loved doing what she was doing, and she looked gorgeous as well. Again, this is the last time I saw this version of Reina, and that is really sad; It has been a year since this song was released, and I have not seen Reina perform this passionately since in a PV. But, she looked great here, and I loved her in this. It made me like her, it really did, but sadly the other singles and her performance attitude in them really kills how I feel towards her. I know that many people love Reina, and I know that she is regarded highly in the Hello! Project fandom, and in some aspects I do appreciate her, but I also do not care about her; I know that after she's gone I will wonder why she isn't there, and I will probably miss her voice a little bit, but I also know that realistically I will be so happy to see the back of her. Yes, I have enjoyed her in some things; I think in certain PV's she really shined and made me want to like her more, and in concerts she is actually a treat to watch because you can see that live performances are the things that she loves the most, and I also know that she is a hard worker... but I just don't care, even if I do know that there are things there that make her more appealing to me as a potential. I would like to, I admit, but realistically I do not really rate her highly, and I do not think she is as good as people say she is. I think that Reina is a good performer, a decent singer who can be amazing when given a song that she is passionate about, and that she can shine when she does something that she truly enjoys. She is gorgeous too, that doesn't hurt, and her smile is dazzling when she is stirring up a crowd. She is good, I know she is, we all know she is, but sometimes she just does not give it her all, and I know that that is why I don't appreciate her as much as I could, or at least care about her as much as I want to... you decide. But, when in doubt, I do remember a few things that make me like Reina more; this girl can really make me smile. Whether she is performing, singing or acting, when she gets it right, she really knows how to make me like her. She can be an absolute burst of energy and cheer that makes me fall in love with her, and whilst these bursts of energy and happiness may not last long, I do appreciate them, and in those brief moments I find myself looking at Tanaka Reina as if she is the most beautiful girl in the entire world, or even the only girl in the world, because when she brings out that dazzling, natural smile of hers, I become completely lost in her and very rarely take notice of anyone else. Tanaka Reina... someone who conflicts my emotions, and someone who can really turn me off of her, but switch me back on in a surprising turn of events. Yeah, it rarely happens, but when it does I do think that she truly shines... and I guess that that is all that counts. I may not miss you when you're gone Reina, but when I think of you I will remember you fondly... or at least imagine you riding on something that looks similar to a toilet. This is when you realise that I should never be allowed near photoshop... EVER!!! Tanaka Reina Sotsugyou Omedetou! Keep on Winking and keep on Smilin'! OtsukaReina! Oh gosh! Haha! This really made me laugh. I have to agree with you. I'm ready to see Reina go but I felt the same about Gaki and Ai when they left. They had been there a long time and it was time to move on. At one time I was a big Reina fan but it didn't last that long because I had a long-term love of Gaki and Eri that would flair up. She has a good voice but it wasn't really used well in general and while she may have been trying to look "to cool for school" she came across looking bored. I was right up there with you thinking "Hey Reina, if you hate it so much just quit!". I hope that this new group that she's in will put the smile back on her face and that she's happy. Thank you! So glad I could make you laugh! :D I do think that they have had their time in MoMusu, and for Reina, it is the perfect time to leave; she came in during a high point in MM, and she is leaving on a high point. I hope to hear her good voice in lives with her band now. I hope she smiles more in concerts and shows that love for performing with Lovendor as well. I don't know how much I will follow her from now on... but I do hope that she loves what she does and becomes successful in the future, because she does deserve it. A very well constructed post: one minor point, the past tense of "shine" is "shone", not "shined". Is cool, thanks muchly for pointing it out. I'll try to remember for next time, but honestly, my grammar / context is useless.